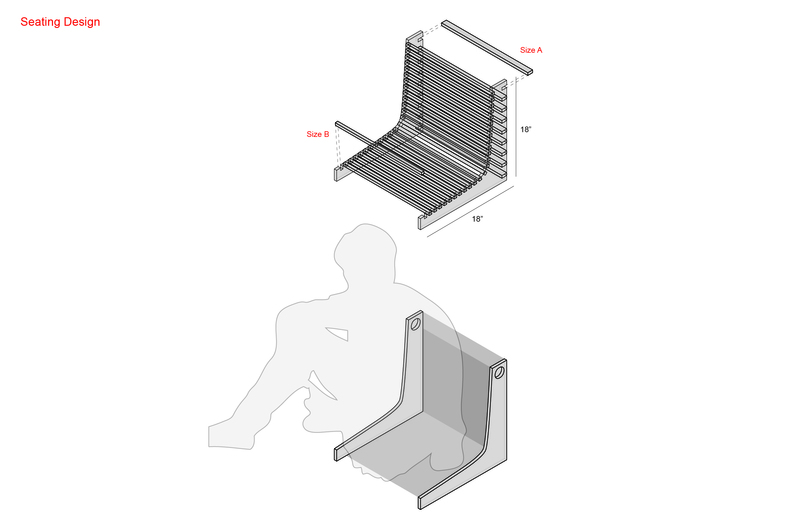 The design attempts to promote activities through movable and configurable furniture, where the objects have a positive feedback against the activity. The activity of drinking is promoted here through the utilization of the empty beer bottles as a hinge of assembling 2 modules in forming different configurations of the furniture. 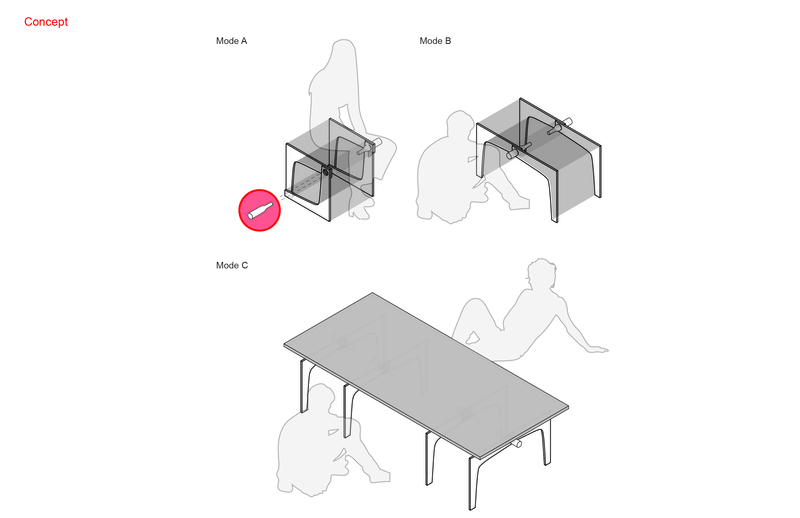 The more the drinking process goes, the more different furniture variations produced for the party to go on. 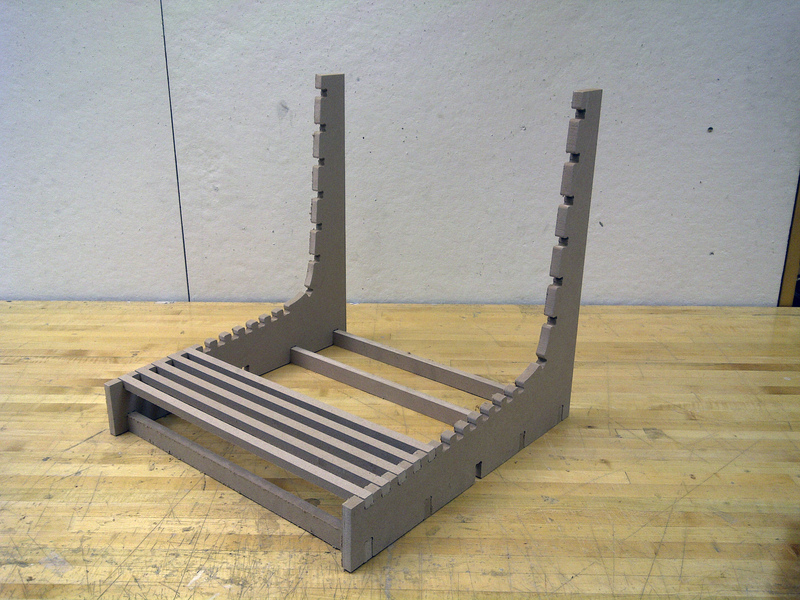 A modular seat with 2 structural ribs and beam-like members to describe the sitting surface and the back. 3 tpyes of configurations can be achieved with the help of empty beer bottles. 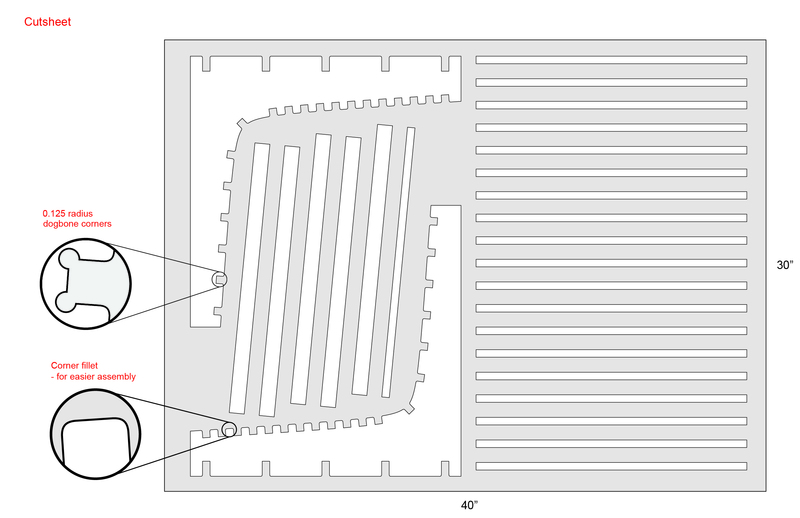 Fillet corner facilitates the insertion of tight-fit components. 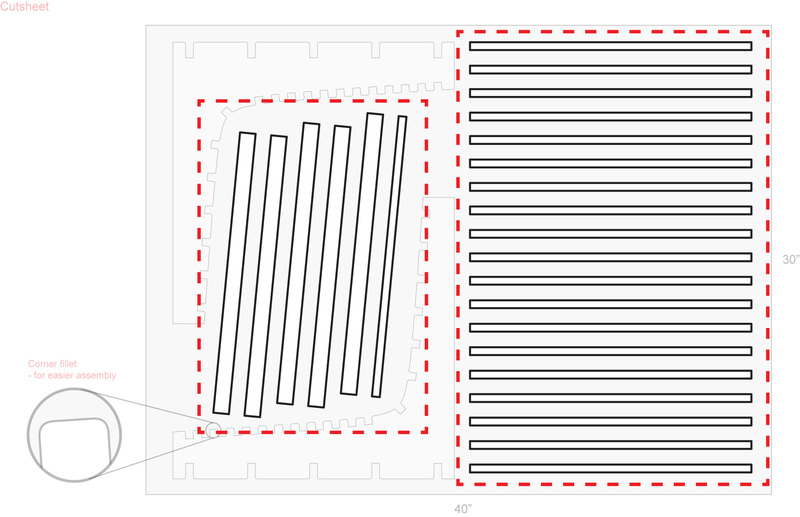 The original purpose of arranging several components in an angle is for maximizing the cutsheet with minimal material. However, during the milling, a comparable difference of cutting time was found between straight lines and lines in an angle. The balance between time spent on cutting diagonal lines and material being utilized has to be considered in the future. 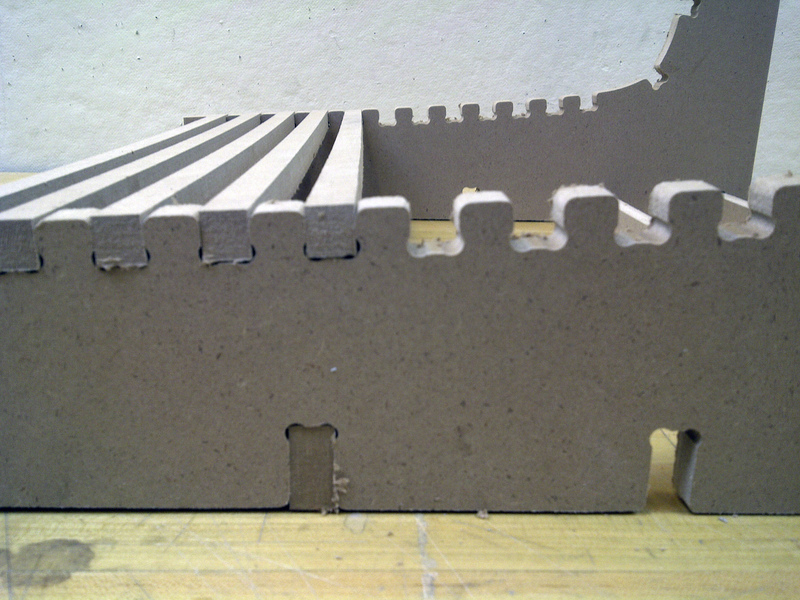 The filleted corners helped a lot on assembling the components into their corresponding slots. The seating surface turned out to be too flimsy. The depth of the beams have to be increased.